MACQUARRIE – Kendall L., 82 of North Brookfield, passed away peacefully Sunday, February 14th, 2010 in Queens General Hospital, Liverpool. Born in Molega Mines, he was a son of the late Hector and Jennie (Nowe) MacQuarrie. Kendall was a woodsman for a number of years. He also worked for several local employers including Nauss Brothers, Department of Transportation and Lands and Forest. 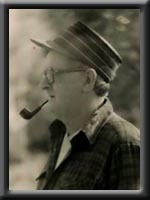 He enjoyed woodworking, hunting and fishing,playing cards, politics, driving his car and smoking his pipe. Kendall is survived by his wife Mary Ellen (Baker), daughters Cheryl (Harold) Freeman of Caledonia, and Wanda (Byron) Frail of Westfield, sons Gregory (Anita) of North Brookfield, Douglas (Claire) of Pleasantville and Timothy (Sharon) of Chester Grant, 12 grandchildren and 3 great grandchildren, sisters Vivian (Harvey) MacKenzie of Halifax, Gwendlyn (Albert) Uhlman, Marilyn (Phillip) Spurr, and Jeannette (Arlyn) Turner all of Pleasant River, brothers Ronald (Lorraine) of Bridgewater and Gerald (Evelyna) of Pleasant River. Offer Condolence for the family of MacQuarrie, Kendall L.
Ward and I would like to tell you how sorry we are to hear of your father’s death. We know you will miss him very much. To the Mac Quarrie family.Our sympathy is extended to all the family. Fred & Ruth. WE ARE SORRY TO HEAR OF THE PASSING OF KENDALL. HE WAS A GREAT NIEGHBOUR, ALWAYS READY TO HELP IF YOU NEEDED HIM. OUR SINCERE SYMPATHY TO ALL THE FAMILY. I am so sorry to hear of the passing of your father. I know he was a great father and always there for his children and Mary. My thoughts are with you at this time. I know how hard it is to lose someone who is loved so deeply. Always remember the good times and that will keep him close in your hearts forever. My sincere sympathy to all the family. We wish to express our deepest and most heartfelt sympathy at this difficult time.Our thoughts and prayers are with you all. So sorry for your loss, our heartfelt thoughts go out to all of you at this time. Dear Mary, Doug, Greg, Wanda, Cheri , Tim and all your families. Sorry to hear of Uncle Kendall’s passing. It’s true what they say, you know! Bad or sad news really does travel fast! I’m sad for your loss. I’ve got lots of good memories. Scary that most of them are more than 35 years old! Sincerest sympathies to you all! Please accept my sincerest sympathy on the loss of Kendall. It is a sad time for all of you and a loss felt in our community. A very nice picture of Dad, I might add! know that we have you in our hearts at this time. kendall will be missed by many. Our deepest sympathy goes out to the sons and daughters in the loss of my brother, Kendall and their father. He will be deeply missed. We were so sorry to hear of your loss. We will surely miss seeing him driving through Molega. Please accept our sincere condolences. Gerald, Evelyna MacQuarrie and all the family.